﻿ Shake! 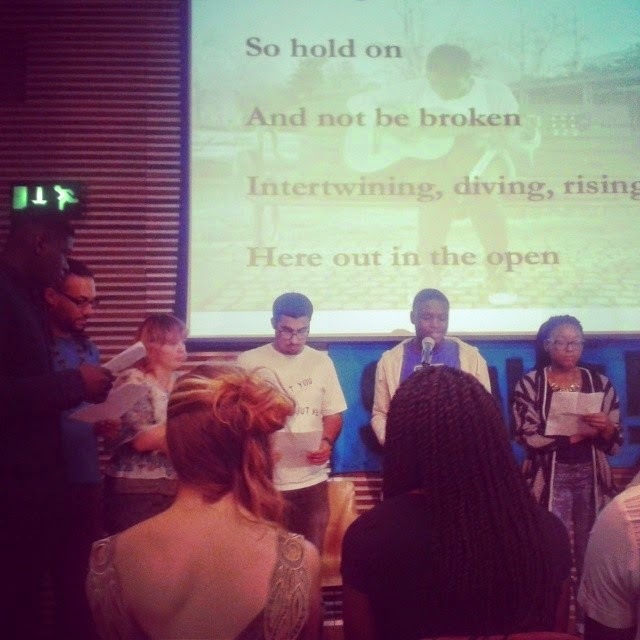 Showcase #4: Remembering, Re-imagining, Reparations | Shake! Last Thursday 26th of June we held our fourth Shake! showcase at Free Word Centre. Shakers present and past got together in an amazing line up of poetry, fiction, music and film, targeting pressing social and political issues. The weeks prior to the showcase were intense. We had planning meetings, rehearsals, worked on our poetry and music, and practiced our performance skills. We also got together to think about what we wanted people to take away from this. 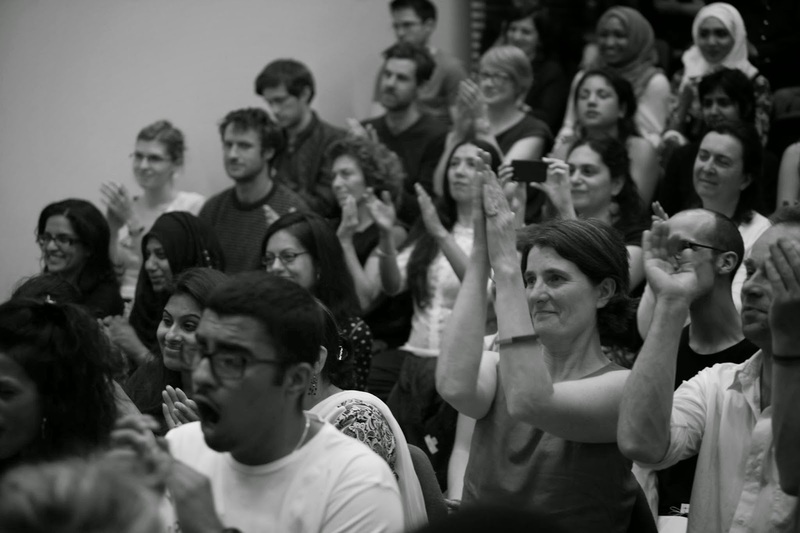 We decided we wanted the audience to feel energised, inspired, and to realise they could be change-makers too. The showcase was an opportunity to share some of the work created during the 4th Shake! course last February at Stephen Lawrence Centre. For five days we took part in intense discussions and art making sessions around the themes ‘Remembering, Re-imagining, Reparations’, challenging official narratives and stories, and thinking of ways to transform ourselves and the structures of society. The event, hosted by Lateef and Grainne, featured powerful poetry by Christianah, Onysha, Selina, Mujtaba, Zena, Umaru, Orla, Sai, and Annie. We were also lucky to have Heritier and Marcina on the music front, a short story by Orla, and a long-distance video poem by Maaike all the way down in the Netherlands. Last but not least, the showcase saw the premiere of ‘Remember’, a short poetic film by Michelle, Mujtaba, Grainne, Isi, Edwina and Tasnima, who worked in partnership with Patrice and Dershe from Nuwave Pictures. Our next Shake! Course is in August 18th-22nd. For more info on how to apply email farzana@platformlondon.org.